One of the eternal problems of corporate slaves like me once they hit the shut down button and unplug their computers is where to spend the night and de-stress after a particularly long day at work. 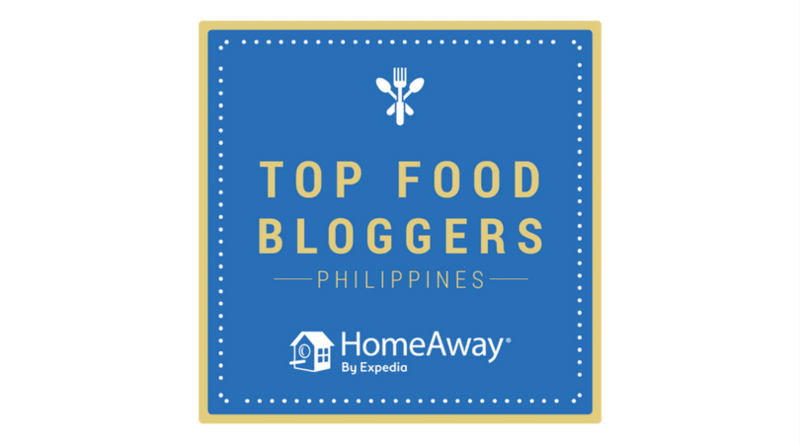 Nowadays, choices are aplenty: beer gardens where you can sample a taste of the brews of the globe; bars selling overpriced drinks to overexcited teenagers; and of course, gastropubs, which are found in almost every corner. 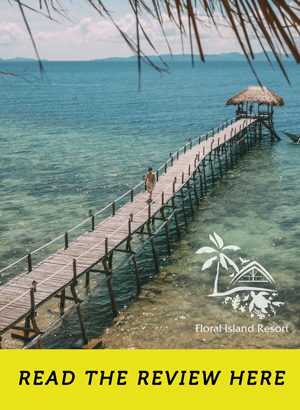 It can be hard to choose where to go, and oftentimes you will find yourself asking your friends “where are we going?” and getting the response “you decide”—an infinite loop until you end up somewhere you’ve been to a hundred times. Frustrating at times, isn’t it? Luckily for us, some places exist in such a way that choosing becomes easy. 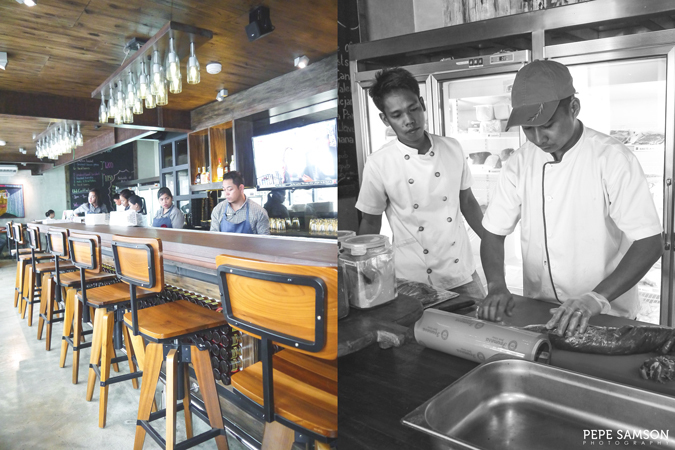 The Butcher Shop and Pub in BGC is such a place—a gastropub that offers steaks, comfort food, and drinks that would satiate your craving for after-office grub and booze. 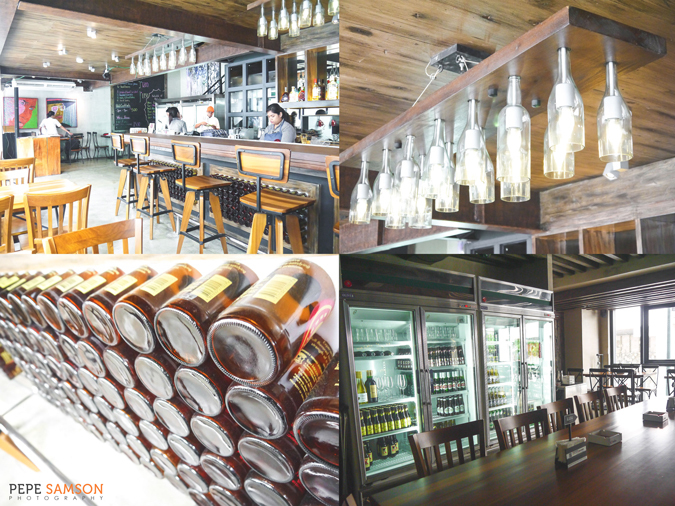 Located at the ground floor of Wumaco Building in Bonifacio High Street, The Butcher Shop and Pub is one dining and drinking destination that’s not hard to love. 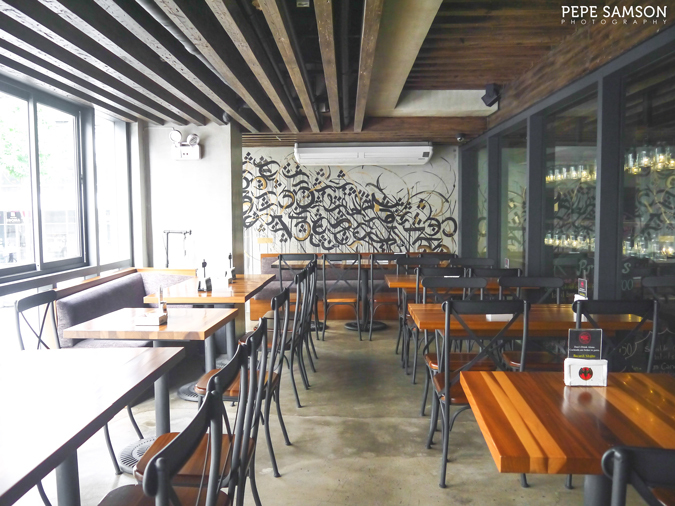 The menu is straightforward: all-day breakfast sets, bar chow, grilled meats, and an extensive drinks list. The lineup seems to be all over the place and lacks a central theme, but the good thing is that it has something for everyone. 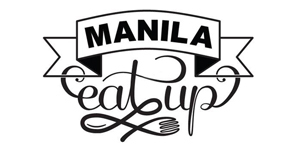 There are German staples, English food, and Pinoy favorites, but who cares as long as they’re delicious? And damn, they ARE delicious. 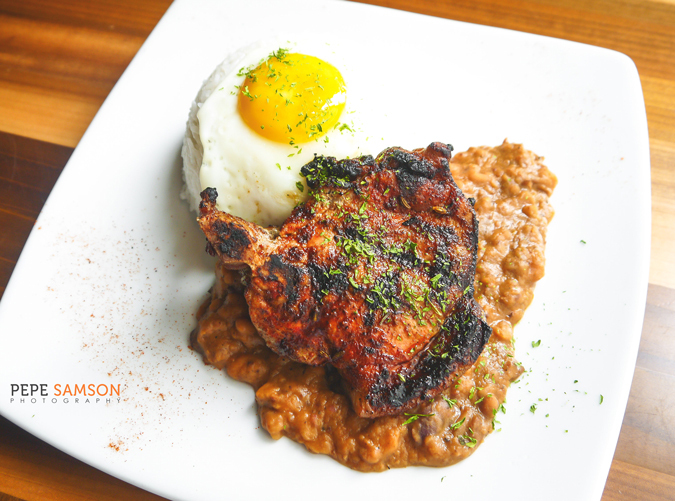 Take a look at this dish, for instance: The Best F*!k!ng Pork and Beans (PhP375). This is simply a grilled pork chop, hefty, juicy, and nicely seasoned. Underneath are homemade baked beans that are sweetish and smoky, a perfect accompaniment to the meat. 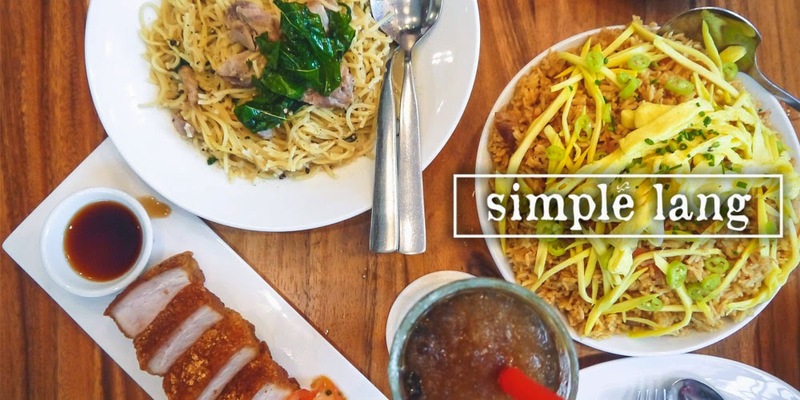 For something as flavorful as this, only plain steamed rice would be perfect. A beautiful sunny side up egg finishes the drool-worthy plate. 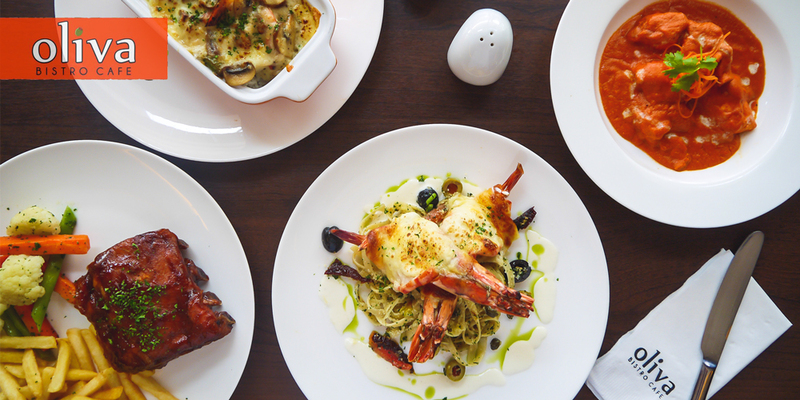 Every bite was filled with salty, sweet, creamy, and smoky flavors—this dish was addictive, a reason to come back again and again. 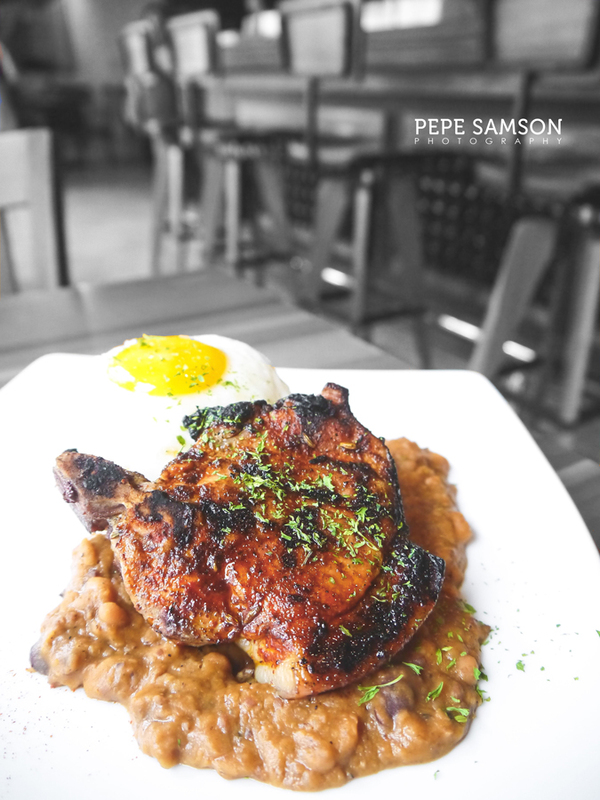 Indeed, this was the best pork and beans I’ve ever had in my life. I’m not a fan of sisig, but the Dumaguete Sisig (PhP275) surprised me. 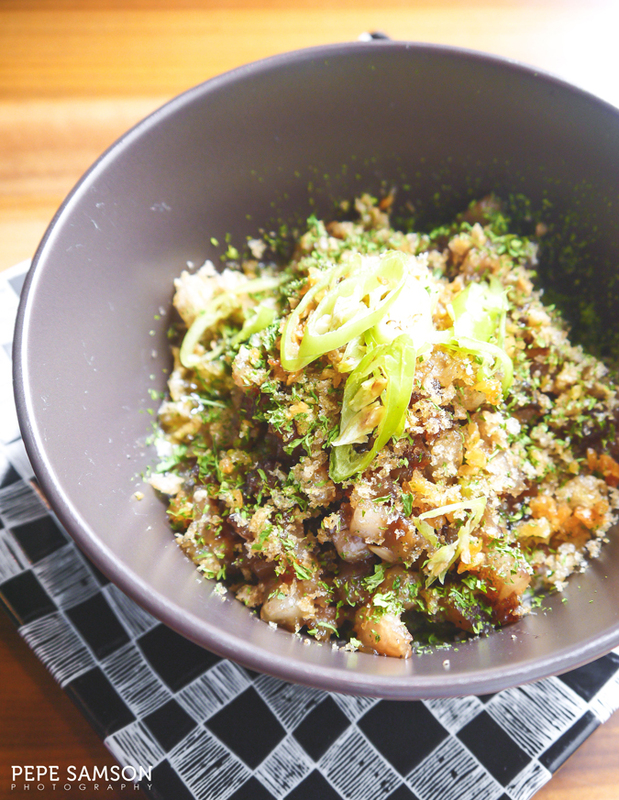 It lacked the crispness every sisig in every restaurant has, but rather showcased a creamy side inspired from the version in the province where it originated. It comes with aioli with a hint of coconut, some green chilies, and some chicharon bits. I found myself loving it by the minute. 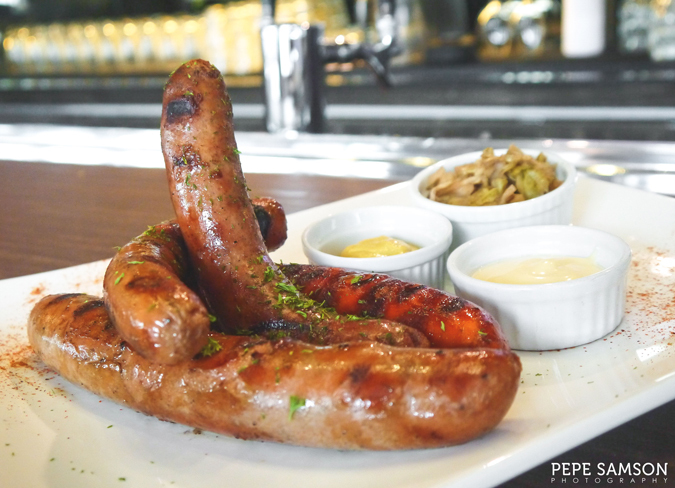 The Sausage Fiesta (PhP695) is another excellent choice, especially if you’re planning to get a round (or two) of drinks. A selection of sausages—Weiner, Schublig, Banger—on a bed of sauerkraut, served with mustard and horseradish mayo. The sausages were juicy and grilled perfectly. Order some beer to go along with this. Of course, one shouldn’t leave The Butcher Shop and Pub without trying their steaks. 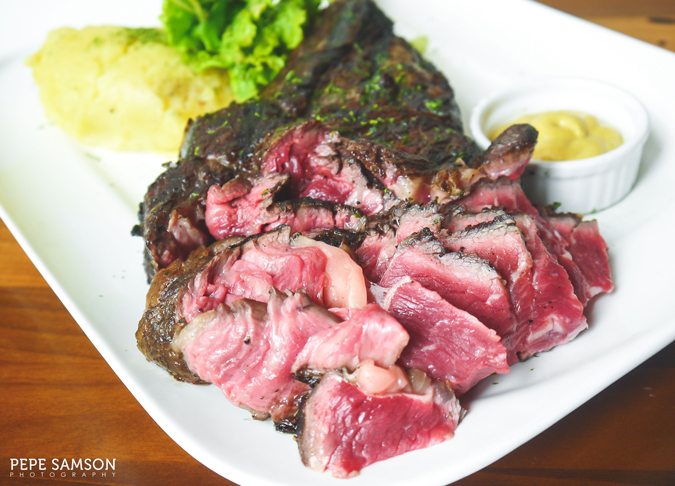 While most items from their Make-Your-Own-Steak selection sell for less than a thousand pesos, we tried the only expensive option: the Tomahawk Steak Angus Gold (PhP4,800/1,200g). 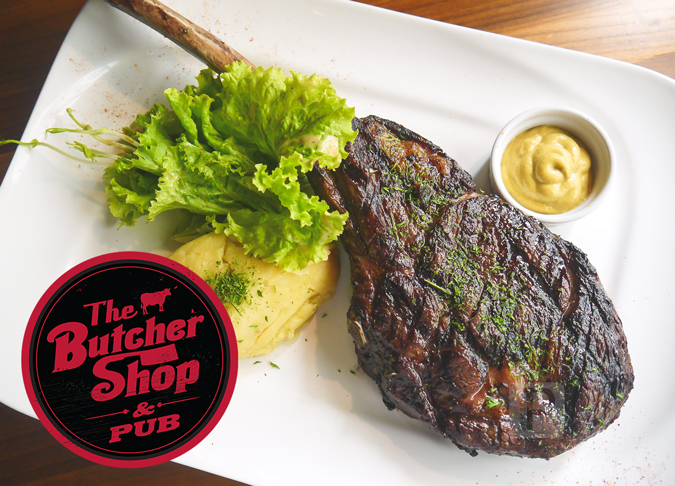 A slab of bone-in meat greeted us, with a garlic-fennel rub, served with side salad, mashed potato, and mustard. The meat was very tender, with a nice marbling of fat. This prime cut can easily feed 3 to 4 people. 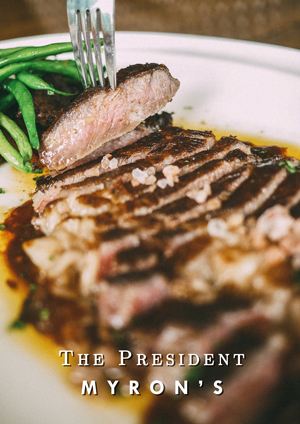 The great thing about their steaks is that the meat is delivered daily, and you can watch the in-house butchers prepare your desired cuts. They even smoke and cure their own meats. Those within a budget can still enjoy the steaks by getting the lower-priced items. 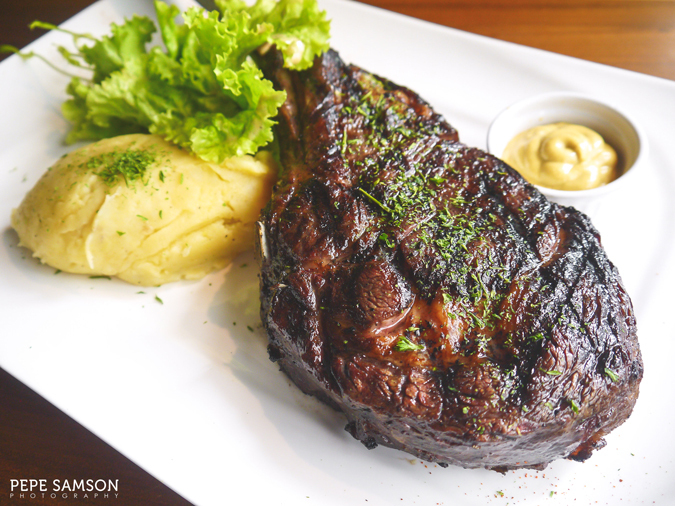 An Angus Rib Eye costs PhP875 (200g), while a Hanging Tender will set you off at PhP475 (200g). You can then choose a rub and brush-on sauce to go along with your steak. Getting a decent drink at The Butcher Shop and Pub is not a problem as they have a really nice selection of beer cocktails. 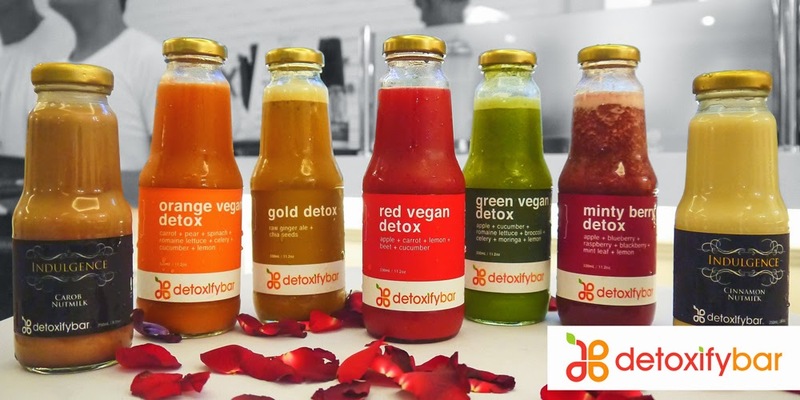 There’s one with a refreshing cucumber flavor—looks pretty ordinary but actually potent, and this is coming from a lasenggo like me. 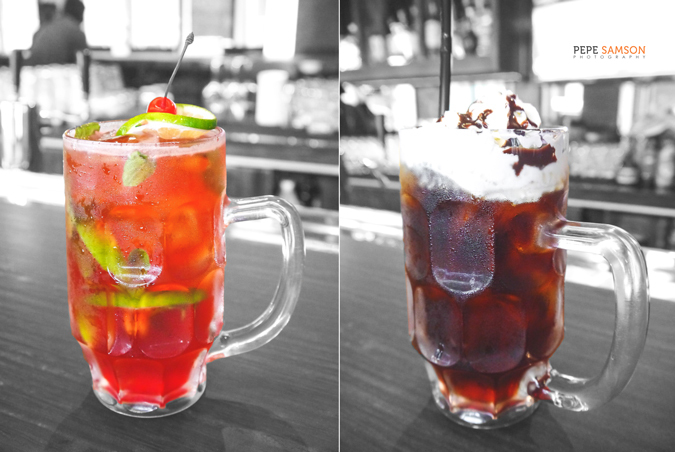 There’s another one that’s fruit-flavored, just as innocent-looking as it was strong—and another that looks like a rootbeer float. 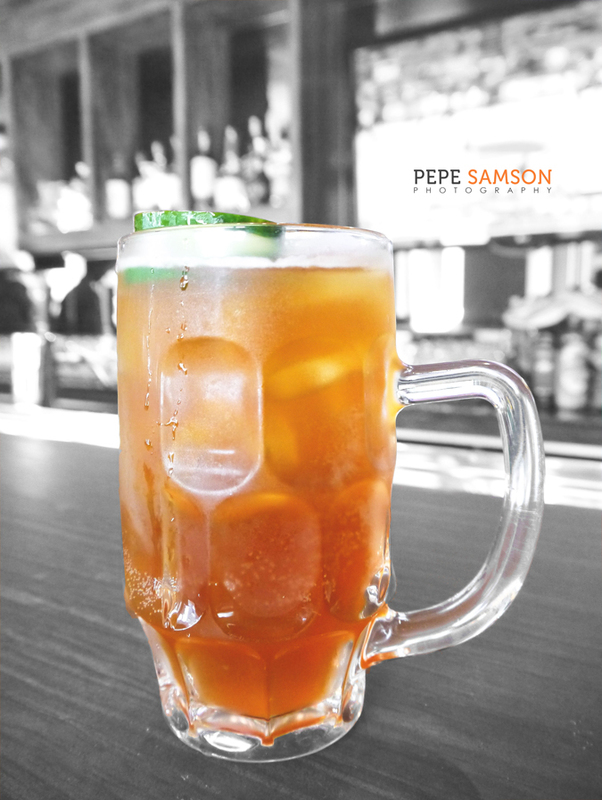 They use Katipunan Indio Pale Ale for their beer cocktails. 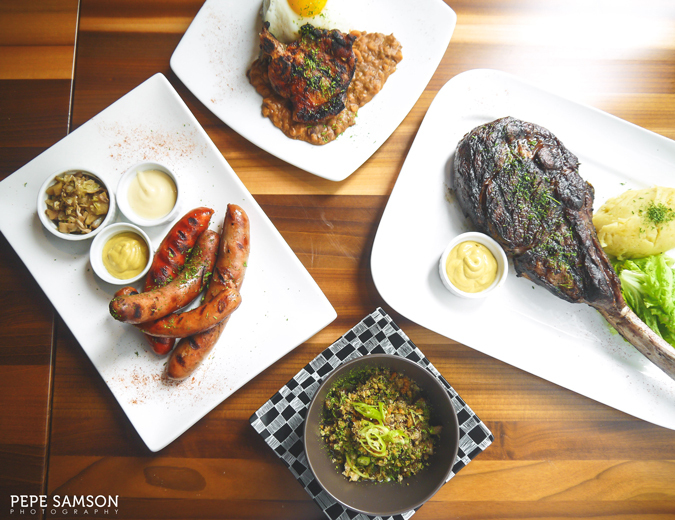 For something straightforward, unfussy, and satisfying, head over to The Butcher Shop and Pub in BGC and partake of their delicious bar chow, meat dishes, and all-day breakfast fare. 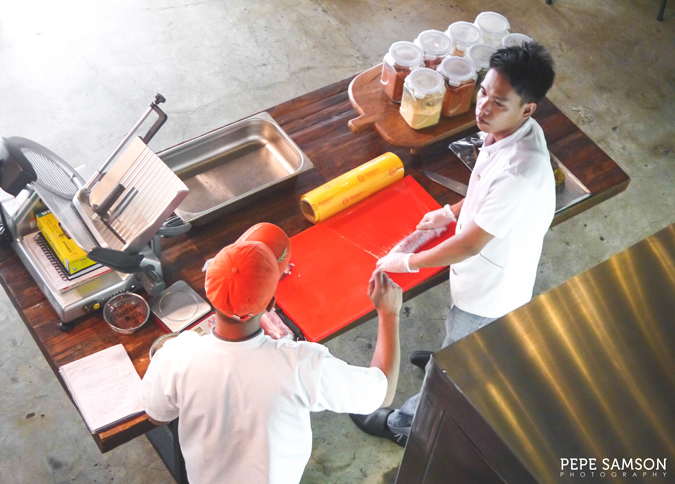 The menu has something for everyone, and meat lovers will especially enjoy selecting their own cuts and asking expert advice from the butchers. 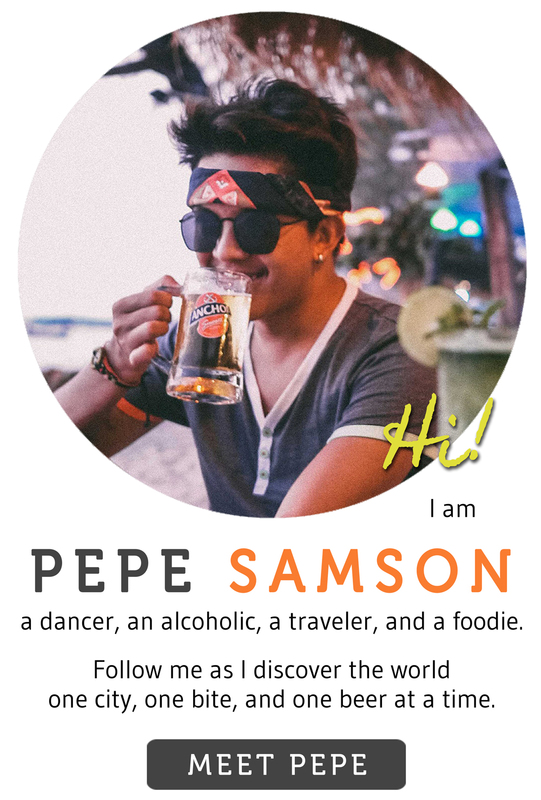 Alcoholics likewise have abundant choices, and can even revel in live music every night as they drink from their mugs or glasses and pick on their favorite pulutan. 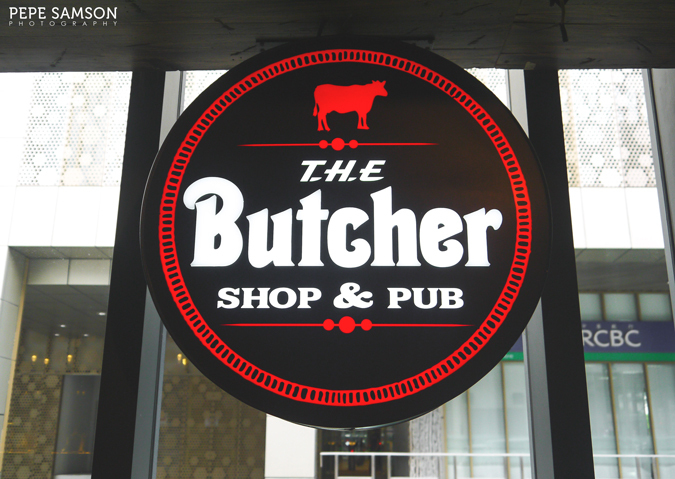 The Butcher Shop and Pub is a potential favorite gastropub in BGC. 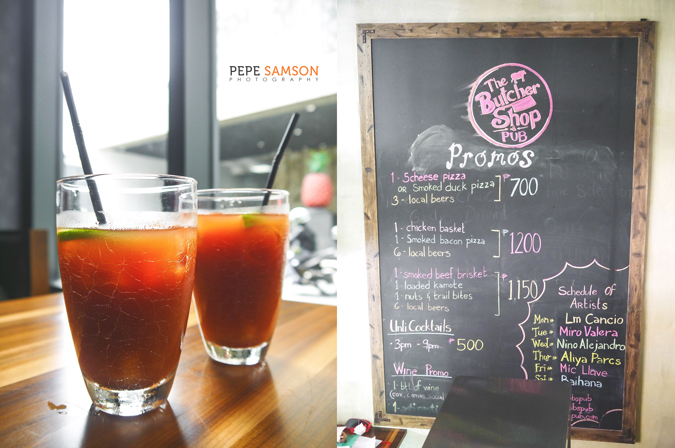 Have you tried The Butcher Shop and Pub? What did you think of their Pork and Beans? 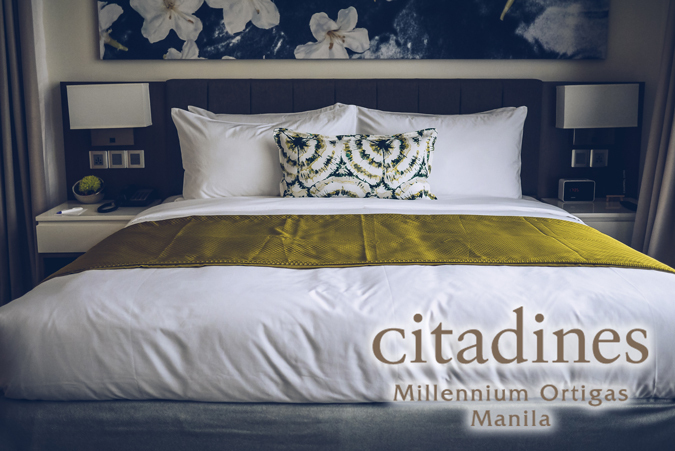 Post a comment below and tell us about your favorite! My meal was sponsored by The Butcher Shop and Pub. All opinions, however, are my own.